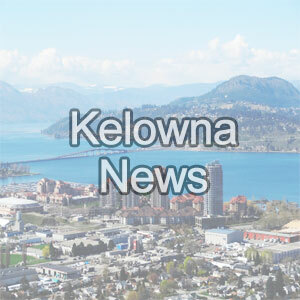 Four people were left homeless, at least temporarily, after a Saturday evening blaze caused extensive damage at a Kelowna home. At about 6:15 p.m. Kelowna Fire Dispatch received a 911 call reporting black smoke coming from a residence in the 400 Block of Taylor Road. A Kelowna Transit driver is recovering at home after he was allegedly assaulted while driving on Rutland Road with a bus full of passengers Friday night. Initial crews made entry into the residence and extinguished the fire. The fire crews completed overhaul and checked for any extension. Amalgamated Transit Union Local 1722 president Scott Lovell said the veteran driver was released from hospital Friday night. Four engines, a command unit, rescue truck and a safety vehicle along with 18 fire personnel were on scene to fight the fire. "He's resting at home now. He's in good spirits," said Lovell, who can't discuss the particulars of the case because it is now a criminal matter. Four occupants have been displaced and are being assisted by Emergency Support Services. No one was injured in the fire. Witnesses said the suspect verbally, and physically assaulted the driver for several minutes while the bus was in motion. The bus swerved along Rutland Road, before coming to a stop after taking out a chunk of sidewalk. "When a 20 ton bus started moving across Rutland Road…someone coming the other direction could have hit the bus at 50 or 60 kilometres. There could have been pedestrians walking on the side of the road. They would not have survived an accident like that." Ironically, Friday's incident occurred just two days after BC Transit announced it will be going ahead with driver shields that will protect drivers from physical incidents such as these. Lovell said drivers are verbally assaulted every day. It seems to have been accepted as just part of the job. "How is that acceptable in any job. You're a bouncer at a bar or you're a police officer, there's potential for a physical situation," he said. "But, as a bus driver, as a professional driver, how do you go to work everyday thinking there's a chance I'll get beat on." Lovell added the driver felt rewarded when he was told several passengers on the bus came to his aid during the attack.